The Advertising Association, Nabs and Wacl, backed by the IPA and ISBA, have called #timesup on sexual harassment in the UK advertising and marketing industry, with the publication of research into the scale of the problem and a code of conduct designed to tackle it head on. The research, based on a survey of 3,580 people working in the UK advertising and marketing communications industry, revealed that sexual harassment in advertising is far from being a past relic of a bygone age. Some 20% of female respondents aged 18 to 24 have already been sexually harassed in the few years they have spent working in the industry. Meanwhile, 5% of men in the same age group have also experienced sexual harassment. Stephen Woodford, chief executive of the Advertising Association, said the industry needs a "cultural reset" in order to tackle the issue. He added: "Do not tolerate it. Time is up this is one of the biggest societal and cultural changes in decades and it is up to every individual to help." Kerry Glazer, president of Nabs, outgoing president of Wacl and chief executive of AAR, urged the industry to take positive steps forward in making things better, safer, respectful and equal for all. "By having a clear code of conduct we aren’t setting out to create controlled, humourless offices but to ensure that no one’s dignity is undermined by some else’s behaviour," Glazer said. The research revealed that 26% of respondents have been sexually harassed while working in the industry – 34% of female respondents and 9% of male respondents. The great majority (72%) of those who have been sexually harassed have been harassed more than once, and of them a quarter have been harassed six times or more. Sexual harassment had a similar level of prevalence across all company types surveyed; brands, media owners, media agencies and creative agencies. The vast majority of those who have experienced sexual harassment have been harassed by someone senior to them (82%). This was followed by "clients" (those in a position to award business), with 23% of those affected by sexual harassment listing them as the source. The research identified three risk areas in which sexual harassment is most likely to happen: alcohol, events, and travel. Many respondents expressed a belief that a more diverse and gender-balanced management line-up would have a positive impact on the incidence of sexual harassment and how companies deal with it. In response to open-ended questions, some respondents described the involvement of senior management in covering up sexual harassment. Others highlighted their role in encouraging staff to flirt with their clients or customers or put up with unwelcome attention to win or retain business. The survey revealed that 41% of respondents feel that "victims of sexual harassment are generally ignored or made to shut up" and 66% believe that "perpetrators of sexual harassment often get away with it." The research reveals that current reporting systems are not fit for purpose, with 83% of those harassed saying they did not officially report their experiences. For those facing up to sexual harassment, Glazer urged them to phone Nabs and warned: "Not enough people are picking up the phone and talking to Nabs to get proper impartial advice and council." Woodford added there should be a "dramatic fall" in the use of non-disclosure agreenments and processes which result in the victim being bundled out of the business. He explains: "When 25% of people are harassed six or more times to be gagged by an NDA is astonishing. We have to raise the bar, people won’t tolerate such things in the future." The code emphasises the duty we all have as human beings to speak up, saying: "The responsibility does not lie solely on those who have been sexually harassed. Failure to address it is not good for anyone in the long run. It might lead to other people being sexually harassed by the same harasser or it might encourage the perpetrator to ramp up their bad behaviour. Speak up and stop it becoming acceptable behaviour.."
Like any major cultural shift, the timeTo movement represents not a moment in time or a single initiative but an ongoing and collective push for progress. 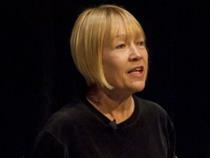 Glazer added: "[Our next step] is training on sexual harassment. We see this as a journey of some years but we are really asking the industry to help; whether that is providing advertising inventory or creative resource." A number of the industry’s leading agencies and media owners have already signed up to support the code, including Adam & Eve/DDB. James Murphy, the agency's group chief executive, said: "We take this issue extremely seriously and as such we have already put steps in place to help inform, educate and advise our managers and employees on what action to take if they witness or experience unacceptable behaviour. The code will be incorporated within our agency policies and processes and we commit to continue putting the ambitions of the timeTo initiative into practice." 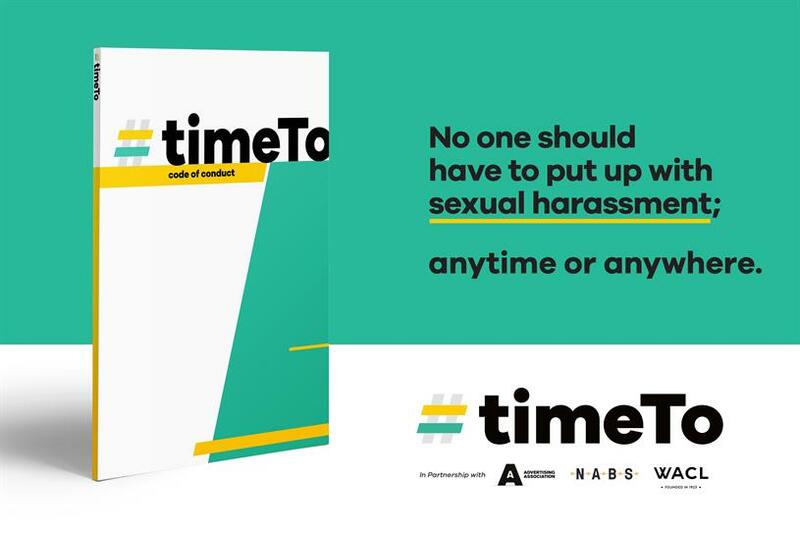 In the report, the timeTo steering group paid tribute to those who supported the survey and in particular the people who had shared their experiences of sexual harassment for the first time. They wrote: "If this was your experience, then we greatly appreciate your openness and honesty, and we promise anyone affected that their answers will we remain private – always – and we will do everything we can to create a better UK advertising and marketing industry for everyone working in it." No one should have to experience sexual harassment; anytime or anywhere. If you or someone you know needs someone to talk to, contact Nabs who can offer free, confidential advice, guidance and support on 0800 707 6607 or support@nabs.org.uk.